Engineering graduates have some of the most favourable employment outcomes of any profession, with more than 80 per cent in full-time employment within four months of graduation. Since the Global Financial Crisis, graduates have taken longer to gain a foothold in the labour market. 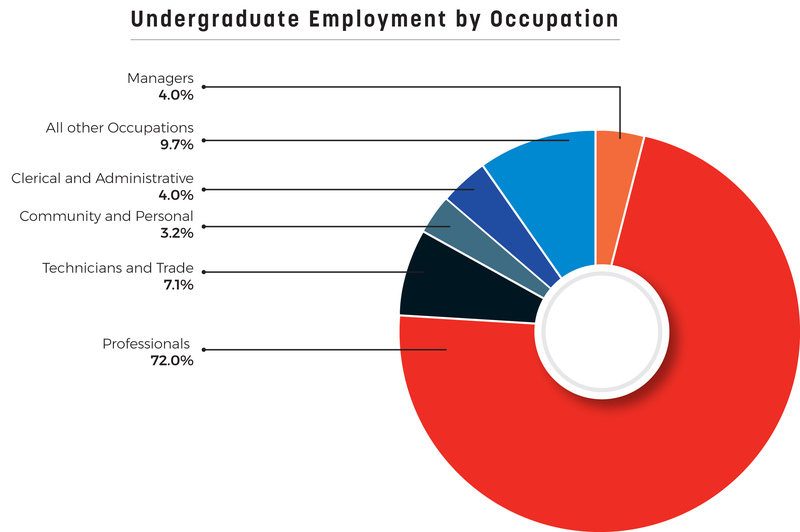 But recent figures show employment rates are on the rise again — and engineering graduates are helping lead the pack. More than 7600 engineering graduates from higher education institutions across the country responded to the 2018 Graduate Outcomes Survey (GOS) report, produced by Quality Indicators for Learning and Teaching (QILT). Engineering graduates reported above-average employment outcomes, with a full-time employment rate of 83.1 per cent in 2018 compared to 79.4 per cent in 2017. Once part-time employment is factored in, total employment rises to 88.2 per cent in 2018. Although this is lower than a decade ago (92.9 per cent in 2008), levels are on the up from a low point of 72.2 per cent in 2013. By far the majority of engineering graduates are employed as ‘professionals’ (71.9 per cent), with the rest falling into several smaller categories. Of the engineering disciplines surveyed, civil engineers had the highest chances of being in full time employment four months out of uni (88.2 per cent). The past two years have been good ones for public and private infrastructure projects, and the booming construction industry has helped offset the decline of mining. Electrical and electronics engineers were a close second (85.5 per cent), while employment rates for process and resource engineers surpassed that of mechanical engineers (80.6 and 78.4 per cent respectively), a flip from the 2017 data. And although aerospace was the lowest of the defined disciplines (70.2 per cent), that promises to change as Australia gains ground in space engineering and advanced flight. Engineering undergraduates are among the five highest paid, with a median salary of $65,000 — up by $1000 from 2017. Outcomes were even better for engineers with postgraduate qualifications — median salaries hit $88,000 last year. Engineering was also only one of two professions to buck the gender pay gap trend found in other professions’ starting salaries. The QILT study found starting salaries between male and female engineers and IT undergraduates to be roughly equal. Australian Bureau of Statistics (ABS) data from late last year showed starting salaries for female engineers were even higher than their male counterparts, though the trend reversed a few years on as graduates move into more senior roles. The salary gap widened at the engineering postgraduate level, with men overtaking women. In 2018 the median salary for men with postgraduate engineering qualifications was $90,000 compared to $79,100 for women. However, money can’t buy happiness. Although engineering graduates are among the top earners, their overall coursework satisfaction levels were some of the lowest at 74.8 per cent — lower than social work, humanities, and culture and social sciences. And only 49.7 per cent of engineering graduates were satisfied with the quality of teaching. Despite this, the majority of undergraduates in full-time roles were more likely to report they were ‘very well’ or ‘well’ prepared for their first job out of university. A QILT Employer Satisfaction Survey (ESS), also released in January 2019, showed engineering employers had overall satisfaction levels of 86.9 per cent, and were particularly impressed with engineers’ general skills like literacy and numeracy, as well as their technical skills and ability to collaborate. Skills mismatch and underutilisation is still a perennial concern for employers and employees alike. Of the engineering graduates who responded to the QILT GOS survey, 21.6 per cent of those employed full time said they did not fully use their skills or education in their current role. It’s also not a guarantee that an engineering degree means an engineering-related job. 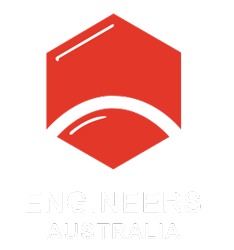 Engineers Australia data released in 2018 found only 56.3 per cent of people with engineering qualifications in the labour force work in engineering. However, with a strong STEM education push and increased demand for engineers, the rosy outlook for engineering graduates looks like it will continue into the year ahead.